Anil Ambani led telecom operator – Reliance Communications might have stumbled on a new hurdle as the telco missed another spectrum payment deadline. The payment which RCom was required to make totalled Rs 281 crores and was to be made by April 5. 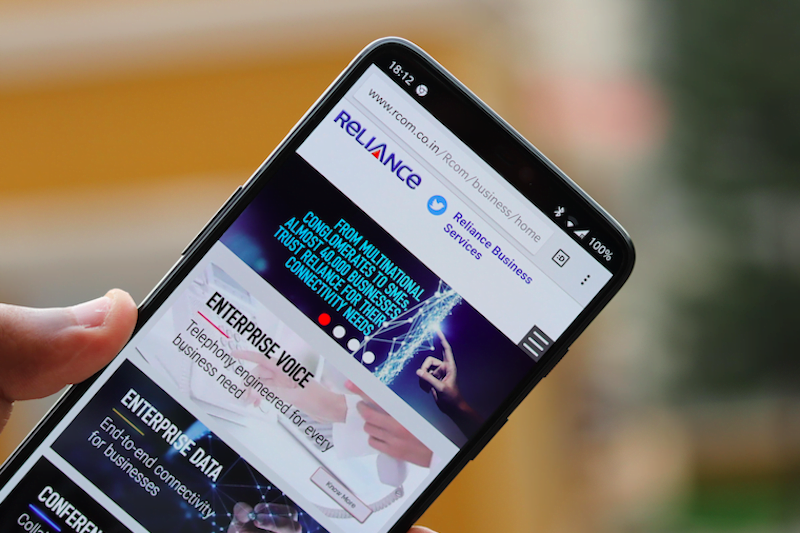 However, the telecom operator is relying on a legal case ongoing in the appellate tribunal which is going to keep the Department of Telecommunications (DoT) at bay from taking away airwaves and cancelling RCom’s licences. As per an ET Telecom report, a senior DoT official remarked, “RCom has missed its payments for the second time, but we will await the court’s order to see if we need to challenge or find any other way of recovering the dues. Our hands are tied till then.” The official highlighted the dispute ongoing in the National Company Law Appellate Tribunal (NCLAT) between RCom and DoT. He also added that there is a hearing scheduled on Monday. When RCom was questioned about this, the company did not return any response on the matter. In the latest development on the feud between DoT and RCom, the NCLAT had put a stay on DoT’s show-cause notice and had asked the telco to explain why the licence and spectrum of telco in Mumbai should not be withdrawn given that it had defaulted on a payment of Rs 21 crore which was due in March. To this, Reliance Communications responded by saying that it was under a payment moratorium from an appellate order which was issued earlier. RCom said that this was related to a separate filing for insolvency and therefore, its licence cannot be revoked. The telecom operator also added that the department was yet to return bank guarantees worth Rs 2000 crore after the appellate court’s order. The operator also added that the department had held back on additional bank guarantees worth Rs 750 crores. The operator said that these bank guarantees should be returned. It is worth noting that RCom has been surrounded in legal trouble as it remains under a massive debt of Rs 46,000 crore which was also the reason why it had missed paying Rs 21 crore for the spectrum in Mumbai, a payment which was due on March 13. Additionally, the telco was also required to pay Rs 281crore for eight circles, due on April 5. Both of these payment deadlines came with a 10-day grace period. Later this month, the operator has to pay Rs 492 crore for 13 circles. What’s crucial to take note of is that if RCom’s spectrum and licenses are withdrawn due to non-payment of dues, then it will also affect Reliance Jio’s operations since it shares airwaves in 21 circles. The government is also putting scrutiny on Reliance Jio and RCom spectrum sharing deal since it is a disallowed in circles where there has been a default on payments. Offtopic. In my Airtel number volte is not working but I have an another Airtel number in my house in which volte works. What to do now? How is this happening? Any suggestions? You could try reaching out to them on Twitter. Happened to me as well. One of my relatives had a pretty old Airtel 4G sim (2014, I guess) and VoLTE didn’t work on a Samsung Galaxy A7. But after complaining on Twitter, VoLTE started working.